With proper maintenance by the best roofing contractors in San Antonio, metal roofs can last up to 50 years and require little maintenance in comparison to other roof types. Inspect metal roofs on a regular basis to check for proper drainage solutions. Also, clean gutters regularly and ensure that liquids from HVAC equipment drain from the roof via PVC piping and drain pans. Check for dips and dents that may allow accumulation of water in a particular area. Keep different metals separate because when different types of metal come into contact with each other and eventually become wet, they will break down in a process called electrolytic corrosion. So, if you have a satellite installer coming or another service person who will be making an addition on the roof, ensure that they use compatible materials. Limit the debris buildup, especially on the surfaces and the valleys. Because, building up of debris affects the immediate appearance of your roof, and the breakdown of the materials can stain the roof and damage the metal. Moreover, the debris accumulated retains water, which encourages leakage and other damages. Perform annual checks on sealants and boots and pay special attention to chimneys, skylights, and valleys as they are the prime candidates for leakage. If possible or needed, you can replace or reseal these materials. Due to exposure to some harmful natural elements, holes and open seams may develop. It is important to fix these open seams and holes as soon as you spot them. Use pieces of tin to patch up large holes or call a professional to do the job for you. Once you take note of damaged sections of your roof, it is best to undertake repairs as soon as possible. The more extensive the damage becomes, the longer you put it off. So, inspect your roof system regularly, spot the problematic areas, and fix them as soon as possible to save more. 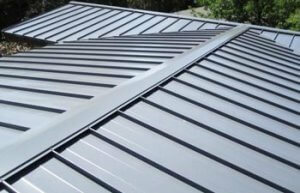 Corrosion is a common problem in metal roofing, and this could be avoided by repainting the roof every 2 to 4 years. Use paints that are specially formulated for metal roofs to help prevent rust. Paint areas where you notice it beginning to wear off to avoid big damages. Also, check the roof for damage after every bad weather event to fix any damages. Contact the installer for roofing services in San Antonio to assist you with these issues.